Many of you may not know this but I actually started out as a volleyball player way before I was a golfer. I still play both sports and interestingly enough the more I train for volleyball, the more powerful my golf swing gets. I’m sure to most of you that doesn’t even begin to make sense. Allow me to explain why it works, and why you should start to incorporate some plyometric training into your golf fitness program. When I talk about volleyball I’m purely talking about hitting. I LOVE hitting and I LOVE hitting it as hard as I possibly can. In order to be a good hitter in volleyball you need some key physical components. Other than being tall (trust me there are some great hitters that are short) you need to be able to jump. If you want to jump high you have to create a lot of what is called ground reaction force (nerdy physics term). What that basically means is the harder you can push down into the earth, the higher you will propel yourself up in the air. Once you are up in the air you have to twist your shoulders and turn your vertical power into rotational power. To do this you have to have a really strong core. Otherwise all that great jumping power you have created will just be wasted. You might as well hit the ball with a wet spaghetti noodle because it will probably work better. Lastly you turn your twisting power into arm speed and turn your hand into a whip. When all that power meets the volleyball it goes DOWN! So what does any of that have to do with the golf swing? Let’s start at the top of the backswing. As you start to come down into the ball the first thing you should do is squat. You are creating a ground reaction force by pushing your feet down into the ground. The only difference between golf and volleyball is the jump part. Actually if you look at some of the longest hitters on tour, some are actually off the ground at impact. Then...just like with volleyball you turn all the vertical power into twisting power with your shoulders. Lastly, use your hands like a whip and crush that little white ball as far as you possibly can. Now the most important part. How do you incorporate plyometric training into your workouts to build a powerful golf swing? It’s really simple. Just start jumping. It doesn’t have to be complicated. You can do jumping jacks, jump rope, jump in place, anything that has jump in front of it, you can do (I feel like I just gave you a version of Forrest Gump talking about shrimp). The biggest disclaimer is you have to be sure you don’t have any pain. If you have any pain with jumping, you have to stop. You can safely perform plyometrics once a week and you will definitely start to notice some more pop in your golf swing. If you have any questions please contact me here at OrthoCore Physical Therapy. I hope you enjoy your new, more powerful, golf swing this season! Thank you, Kaitlin! We are so glad that you are pleased! Another year has come to a close and it’s been a crazy one at OrthoCore. Opening a second location was anything but easy. 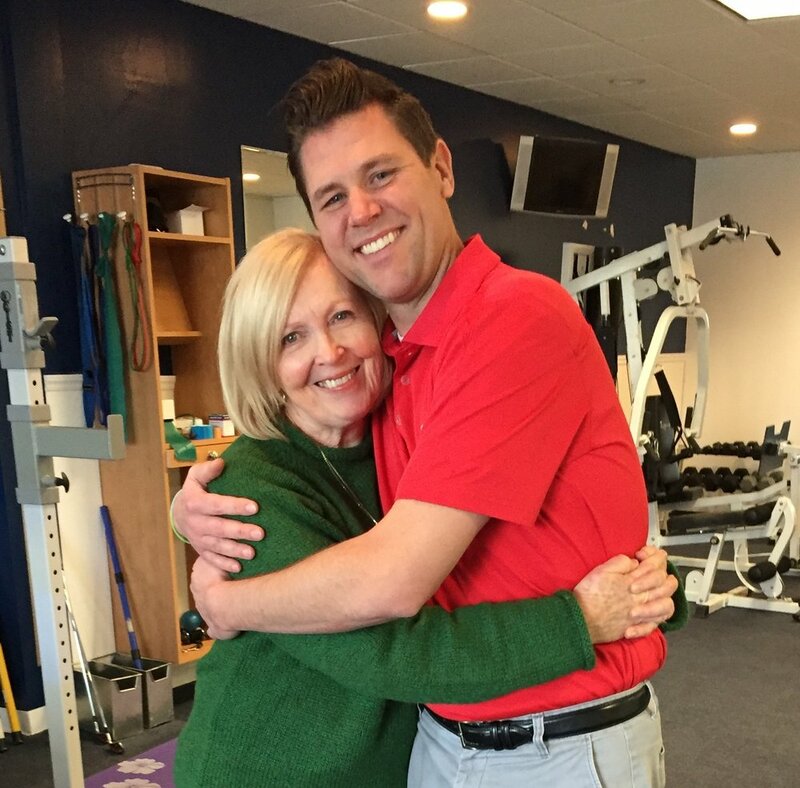 Luckily for me, I have wonderful patients like Maureen to make it a little more rewarding along the way. This year I’ve decided to start to share that success with others, which has lead to the inaugural Patient of the Year award. The idea behind the award is to thank a patient who has been good to us, but also good to others. In honor of winning the Patient of the Year award the recipient will have $500 donated to a charity of their choice. Maureen Areglado couldn’t fit the mold more perfectly. She and her husband Ron have been patients of mine on multiple occasions over the past years. She has personally referred at least ten friends and family to OrthoCore over the past year. Having her trust in me to take care of her close friends and family is an honor. When it comes to recommending the services of OrthoCore, she does so wholeheartedly. Maureen is completely selfless and is helping her daughter, who is currently fighting cancer, and her family.. Between watching the kids, helping around the house, and consistently being available, she gives all her time to make her daughters fight just a little bit easier. We are happy to have been a positive part of her life! When I asked Maureen initially if she would accept the Patient of the Year award she said no. She is not one for attention and enjoys doing all of her good work behind the scenes. She only relented when she knew she could help her daughter more and has decided to donate the $500 award to her daughters Pan Mass Challenge ride. The Pan Mass Challenge is an annual bike-a-thon of 180 miles cycled over the course of two days. One hundred percent of the money raised goes directly to life-saving cancer research and treatment at Dana-Farber Cancer Institute in Boston, MA. 2018 has been a amazing, challenging year. I want to personally thank everyone, and especially Maureen, for their help and support. Congratulations to her on being our first Patient of the Year. I hope that our donation helps her daughter achieve her fundraising goals for her 2019 Pan Mass Challenge ride. I treat a lot of people with back pain. The hard part about treating patients with back pain is getting the work we do on the table, to translate to standing and walking. Patients who are older (I’m talking 35+) will usually have pain due to a facet issue, degeneration in the back, or both. Lying down is a great position for those issues because it doesn’t put pressure on the back. Once you stand up, the back compresses, puts pressure on the joints, and the pain returns. If this sounds like you, let me give you a simple solution to provide you with some relief for your back pain with standing. Unless you went to PT school, or some form of medical school, you have no clue what a facet is or what degeneration looks like in your back. Well...that is what I’m here for. Let me school you on some anatomy. Facet joints are the joints of the spine. Just like any other joint in the body, the spine moves. It requires joints to allow that to happen. In your spine you have facet joints on each side of every vertebrae from your head to your hips. 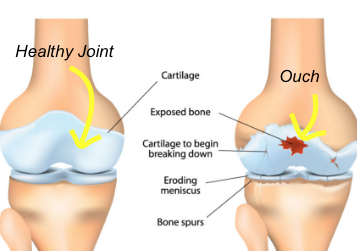 Like all your other joints, the facet joint can get inflamed. 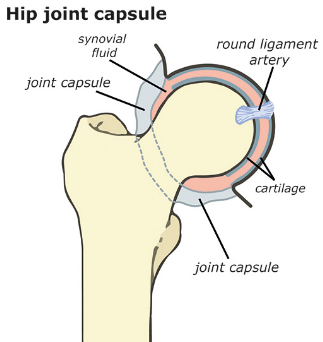 When you compress an inflamed joint, it hurts. Facet joints get compressed when you are standing and when you extend. Hence the reason why lying down feels better, and standing hurts. What do I do for Standing? Since most of us can’t lie around all day, what do we do when we’re standing to help alleviate back pain? The key to having less pain with standing is understanding the position of your pelvis. Most of us have what is called an anterior tilt at our pelvis. 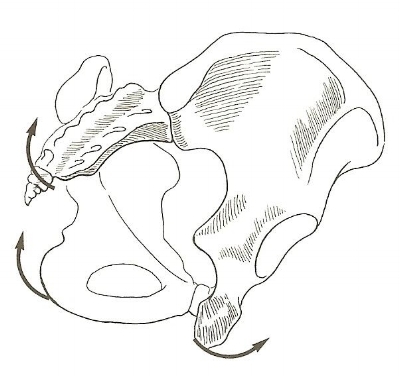 That means that the front of our pelvis sits lower than the back part of our pelvis. Speaking in generalities, this usually happens because our hip flexors are tight and our abdominals are weak. In the game of tug-of-war, a tight muscle always beats a weak muscle. In therapy we will try to stretch the hip flexors, and strengthen the abdominals to correct the imbalance. That doesn’t always carry over to a standing position though. Sometimes, you have learned to stand like that so you need to retrain the brain to stand in a neutral pelvis. What is the best way to do that? Train your hips in a standing position. 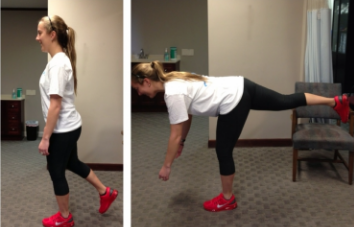 Here is a simple exercise that I like to give my patients that have back pain with standing. Give this a try to help alleviate your back pain with standing. You can perform as many of these as you want. The exercise is meant to help you retrain your brains standing pattern. There is no resistance involved so you don’t have to worry about overdoing it. I hope this helps correct your back pain you are getting with standing. If you have any questions please contact us. If you want a free session to review how to perform the exercise properly just mention this post and OrthoCore will give you a free 15 min session at any of our clinics. Thank you for reading! Is it Sciatica or is it a Hamstring Strain? One of the hardest parts of my job as a Physical Therapists is also the coolest. I have to figure out why you have pain, and I also have to know how to treat it. It’s actually the reason why I decided to go to PT school way back in the day (I feel so old when I think about when that was). There are multiple injuries that present the same way in the clinic. 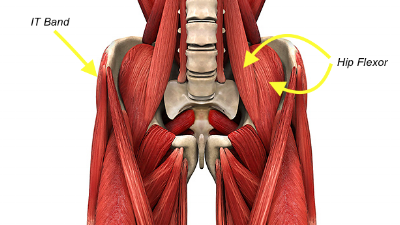 One of the most common injuries that I have to tease out is pain in the back of the thigh. People always think its a hamstring strain, but sometimes it can be sciatica. How do you know what it is, and how do you treat it? The symptoms of a hamstring strain and sciatica are very similar. Pain in the back of the thigh that can worsen with activity, and also worsen when you stretch the hamstring. The treatment to fix a hamstring strain is very different than how you would treat sciatic symptoms though. Furthermore, if you treat sciatica with a treatment plan for a hamstring strain, it will probably make your sciatica worse. 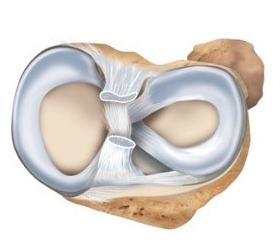 So how do you figure out what is causing the pain in the back of your thigh? Read on my friends. The easiest way to discern between sciatica and a hamstring strain is to use what’s called a slump test. Sit at the edge of a bed with your legs dangling off the floor. Slouch down (this is literally the only time a PT will tell you to slouch) bringing your chin to your chest, raise the foot of the leg that is injured and kick your leg up straight. This should reproduce your pain whether you have a hamstring strain or sciatica. Now comes the cool part. Perform that same move again until you feel the pain in the back of your leg and staying slouched, with your leg out straight, point your foot away from you and look up. If that helps with the pain in the back of the leg, it's not your hamstring, it's your sciatic nerve that is causing your pain. Now let’s just assume you perform the test and you now know you have sciatica. What do you do about it? Most people when they have pain in the back of the leg will stretch it. When it comes to sciatica that is the worst thing you can do. It only irritates the sciatic nerve. Instead, lie your back kick the opposite leg up in the air keeping it straight. 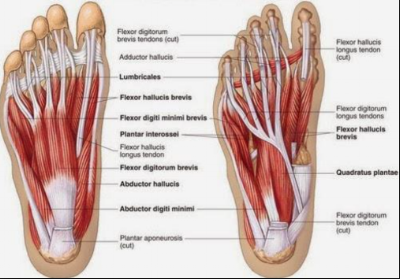 This will add mobility into your nervous system and start to alleviate the sciatic symptoms you have been dealing with. Isn’t PT cool? I think so. Hopefully this helps you with the leg pain that you have been dealing with. If you have any questions or comments please contact me. If you did the test and it turns out you have a hamstring strain, the treatment for that can be a little more complicated. OrthoCore Physical Therapy wants to help YOU. Contact us and mention this post and we will give you a FREE INJURY SCREEN to see what is wrong and how we can help. Balance and posture were the first two mechanical flaws I was taught to look for when I became certified through the National Pitching Association (NPA). The NPA is a group that was founded by Tom House who is the throwing coach for the G.O.A.T. (Tom Brady for those who live outside of New England), Drew Brees, Randy Johnson, Nolan Ryan, and so many other top athletes that this blog post would be 18 pages in just names alone. Their mission is to focus on strength and conditioning techniques that enhance a players skills and reduce their risk of injuries. In short, they look at the body first and performance second. You can’t be a division 1 pitcher if you can’t stay on the mound. Balance and posture is so important to this group that they don’t even look at anything else until this mechanic is fixed. When we talk about balance we aren’t talking about a pitchers ability to stand on their drive leg for a long period of time. Quite honestly that doesn’t even matter that much. What we’re looking for is the pitchers ability to keep their shoulders level, through their stride, and delivery of the baseball to home plate. Any deviation from this level position will lead to a compensation which can lead to arm injury and break down over time. Here are a couple of examples of good posture through delivery. Here are some examples of bad posture through delivery. They most common coaching mistake we see is telling a player to “get on top” of the ball. Now some of you reading at this point might be thinking, “Hey Matt Harvey was a dominant pitcher and Okajima was an World Series winning All Star.” That is all true but how long were they dominant and, at what cost. A players inability to maintain their balance and posture through the delivery can be caused by a multitude of reasons. Literally any restriction in anything from the ankle up to the trunk can cause a loss of posture in the players delivery. I always recommend that a player get screened by a qualified movement specialist to be sure you are attacking the correct strength and flexibility deficits that are causing the problem. That being said here are some of the most common causes of loss of posture that I see with my pitchers. Sit on the ground with a bat. Rotate one leg in and the other leg out keeping a 90deg bend in the knees. Once your legs are touching the ground rotate your arms towards the leg that is rotating in. Lie on your side with both legs bent up to 90deg. Rotate your arms open like a book. Your core muscles are what keep your trunk upright while you are twisting as you throw. They also help to transfer the energy from your legs up to your arm. That means that by doing this exercise not only will you be able to better maintain your posture, you will also be able to throw harder (and who doesn’t like that). Perform 15 repetitions on each side and hold this reach/kick position for 3 seconds. 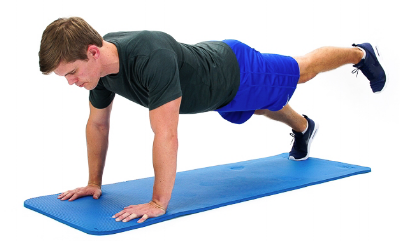 Get into a tall plank position focusing on squeezing your glutes and keeping your core tight. Stay stiff and alternate reaching with your hands out in front of you. It’s important to prevent your hips from twisting while you reach. Get into the same tall plank position. Alternate kicking a leg up in the air. Make sure that your hips don’t twist. Also make sure that your back doesn’t arch as you kick up. Well it’s what we’ve been talking about the whole time. Didn’t you think I was going to give you an exercise to work on? Balance is important in your trail leg but also your landing leg so be sure to work on this on both legs. You may notice a difference between your legs which is completely normal. The more you work on it, the more your legs will equal out. Try to do 15-20 repetitions on each leg. Stand on one leg. Keeping your back straight, balance on one leg and kick the other leg back. The goal is to get your body parallel to the ground without rounding you back. This is a really challenging exercise so don’t get frustrated if you have trouble with it. Just keep practicing and eventually you will master it. I hope this helps you improve your strength and flexibility to limit any loss of balance and posture that you might have in your delivery. If you haven any questions or problems please don’t hesitate to contact me on our website, www.orthocorept.com , or via email, IanM@orthocorept.com.